Have a facility that you’re responsible for maintaining, but don’t have time to keep it clean yourself? Then you need to hire a commercial pressure washing expert who can take the chore off your hands and complete it in a fast, efficient and environmentally-friendly manner. No matter the location or building type, we bring the highest level of service and satisfaction to every one of our clients. This means that we can help you protect your investment, as well as the health of your employees and associates. Plus, we use only environmentally-friendly solutions, which means that even as GLEAM beautifies your property, we prevent damage to the environment as well. Nobody wants to eat at a dirty restaurant or vaccinate their child at a dingy-looking clinic. Your customers want to see a clean, professional exterior at all times, so you need to ensure that your property is well-maintained. Unfortunately, Mother Nature is often working against you. Winter and fall bring heavy rains and snow, which encourage the buildup of mold and mildew. Spring drops an abundance of pollen, and summer residential and commercial projects cause chemicals and pollutants to be dumped into the air, all of which float around and then adhere to your building. Each of these contaminants contributes to a dirty-looking appearance and a less-than-healthy environment for your patrons, business associates, and employees. If you want to push back against nature in an eco-friendly way, call GLEAM about scheduling a one-time or recurring pressure washing. You might think that since parking lots get driven on all day, there’s no point in cleaning them. While this is a natural conclusion to draw about a surface that gets stepped on and run over 24/7, there are still many good reasons to keep it clean with GLEAM’s parking lot pressure washing services. Firstly, the gradual buildup of oil, mold, mildew, and moss makes parking lots slippery, and therefore increase the chances of an accident occurring. Not only is that unfortunate for customers and employees, but it could also result in lawsuits if you’re found to have been negligent in maintaining your property. Secondly, a customer’s opinions form long before entering your place of business – the customer experience begins in the parking lot and walkways of your business. After all, most people would rather do business in a place with meticulously-maintained grounds. Not only does pressure washing keep your lots looking clean, it also helps prevent potholes and cracks due to mold and moss forming on the surface. Nothing ruins your day like looking down and seeing a sticky string of gum connecting the sole of your shoe to the ground. If you want to keep your customers, patrons, employees, residents, or associates from experiencing this, routine pressure washing is the way to go. GLEAM’s gum removal cleaning services get the gum out of there and remove every last bit of sticky residue so that your customers’ days don’t get spoiled and you’re not left with dark, dirt-attracting stains on your walkways. Parking garage pressure washing services performed by GLEAM professionals have the same benefits as parking lot washing. They keep surfaces from getting slick, prevent customers from tracking gum and other nasty things indoors, and generally lead to the impression that you care about your customers and the appearance of your facility. Whether or not you believe street art is a legitimate form of expression, you probably don’t want it on your commercial building. 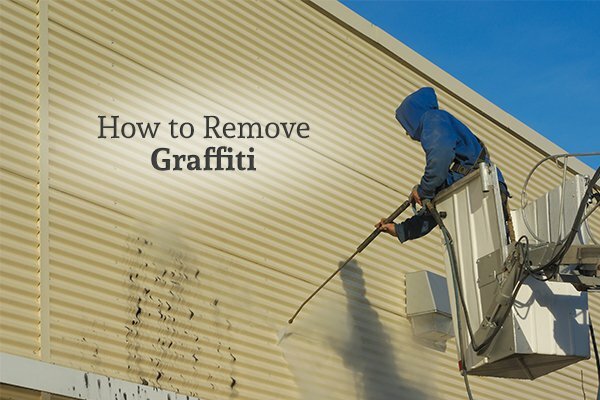 GLEAM Bin Cleaning & Pressure Washing Services graffiti removal is prompt and efficient, erasing that tag before it has a chance to give customers the impression that your business is shady or shabby. The longer you leave paint in place, the harder it is to remove, so be sure to call us as soon as you discover that your property has been defaced. Dumpster Cleaning: Who Says Dumpsters Have to Smell Like a Dumpster? Dumpsters have a bad rap, but who says yours has to live up to it? 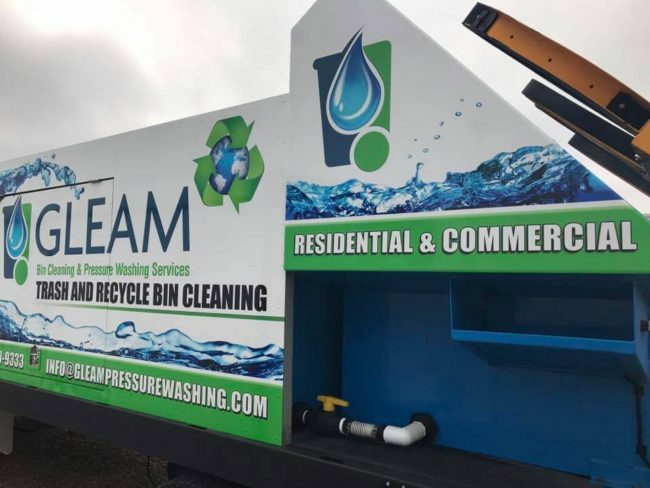 If you don’t want your dumpster to smell like one, GLEAM Bin Cleaning & Pressure Washing Services offer handy, on-site dumpster cleaning that will kill those odors and leave your trash receptacle looking shiny and new. 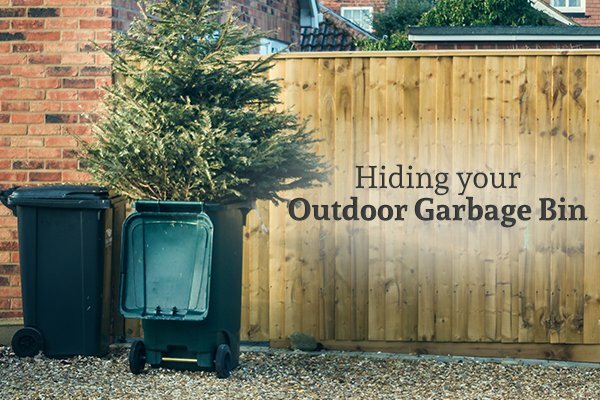 You want to sanitize your dumpsters before the foul odors have a chance to seep into your apartment building, small office or studio. Talk to us about our affordable pricing plans, which range from one-time cleanings to bi-monthly cleanings. We’re here for you and ready to help. No one likes grabbing a dirty shopping cart, and while a complementary wipe is nice, it does little to eliminate the black dirt and grime that build up on wire and plastic carts alike. If your customers rely on shopping carts to gather the groceries and get them to the car, then it’s your job to make sure those carts are as clean and presentable as possible. GLEAM offers shopping cart cleaning services so that instead of having to scrub or hose down your carts whenever buildup is bad enough, you can rely on us to do the cleaning for you. Just make a standing appointment for us to come clean your carts, and we’ll get the job done quickly, so your customers can focus more on their shopping and less on their carts. Want to learn more about our commercial pressure washing services in the Dallas, Colorado Springs, Fort Collins, or Atlanta area? We’re more than happy to help you get more information or a quote for service.